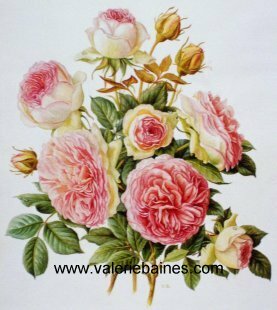 This rose is from the gardens of the five senses at Yviore on the shores of lake Geneva. 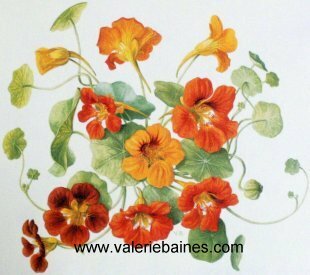 Step by step example from "Botanical Palette". 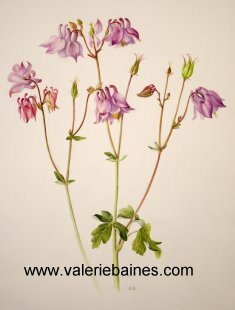 The name Columbine comes from the Latin for dove, columba, and if you look at the flower you could imagine that it is a group of pigeons complete with heads, tails and wings. 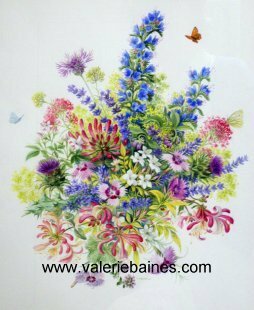 These are all nectar plants from Iden Croft nurseries, Staplehurst, Kent. 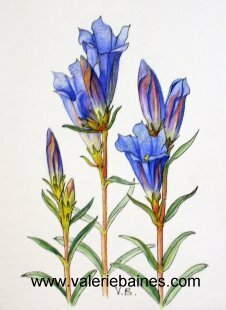 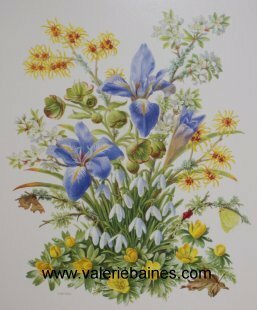 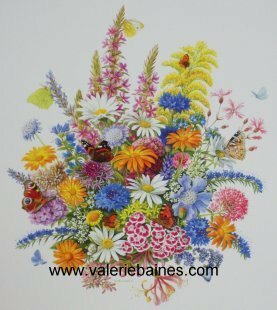 When painting this there was a small black caterpiller on the Viper's Bugloss (blue flower at the top centre) which turned out to be a Painted Lady butterfly. 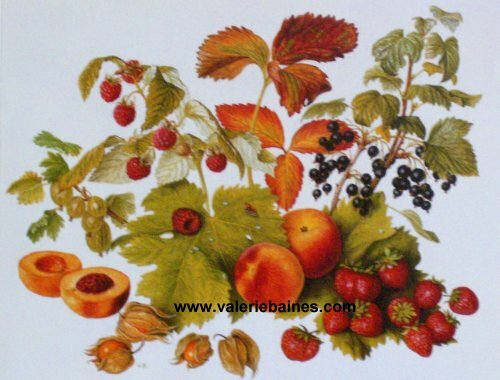 There is a mint moth on the vineleaf. 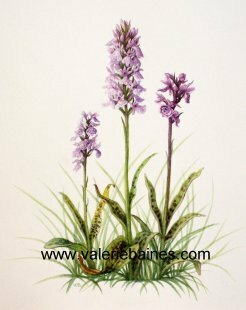 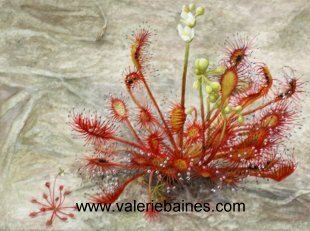 Valerie's paintings have been exhibited at the Royal Academy, the Royal Society of Miniature Painters, the Royal Horticultural Society, the Linnean Society, the Museum of Garden History, and annually with the Society of Botanical Artists among other venues in England; the Hunt Institute of Botanical Painting at the Carnegie Mellon University, U.S.A, the Botanical Gardens of the Memorial University, Newfoundland, Canada, and at Le Jardin des Cinq Sens, Yvoire, France.